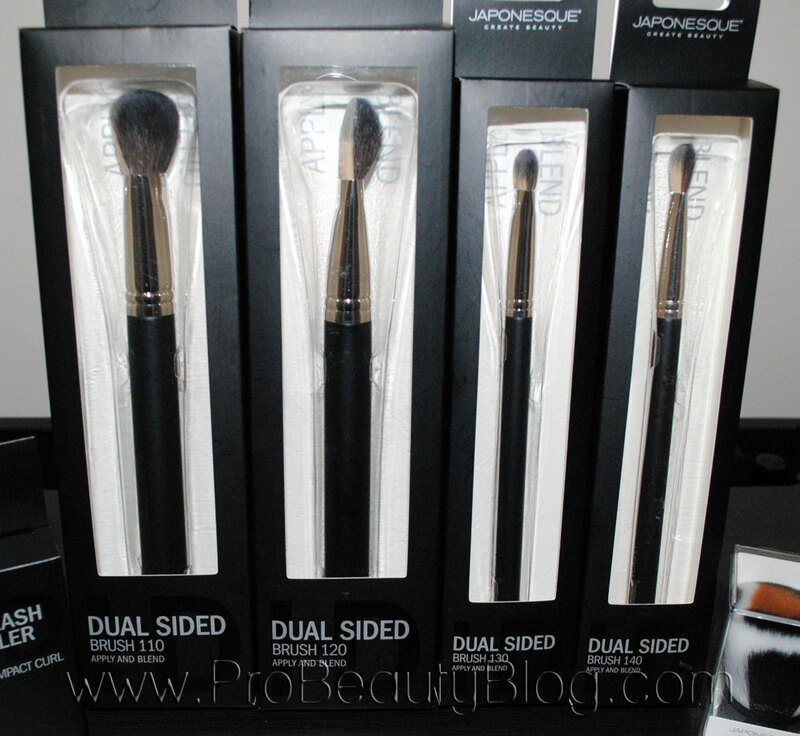 Japonesque has decided to enter the HD market, with a new line of dual sided brushes. Let’s explore them and see what they are all about! BRUSH FIBERS: One side is natural hair, the other side is synthetic fibers. 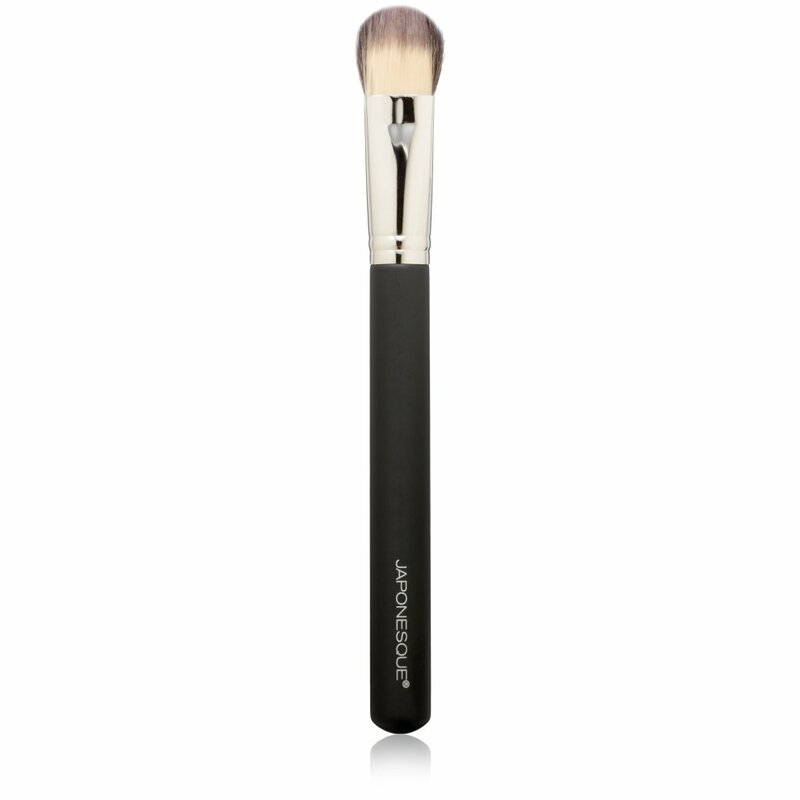 COMPANY DESCRIPTION: The Japonesque HD Brush is a unique dual-sided, dual-fiber brush that provides seamless application of your favorite powder, cream or liquid products. When you open the brush, it is made very obvious how it is to be used. There is a card backing which shows you that you are to use the synthetic side to apply product, and the natural side to blend product. 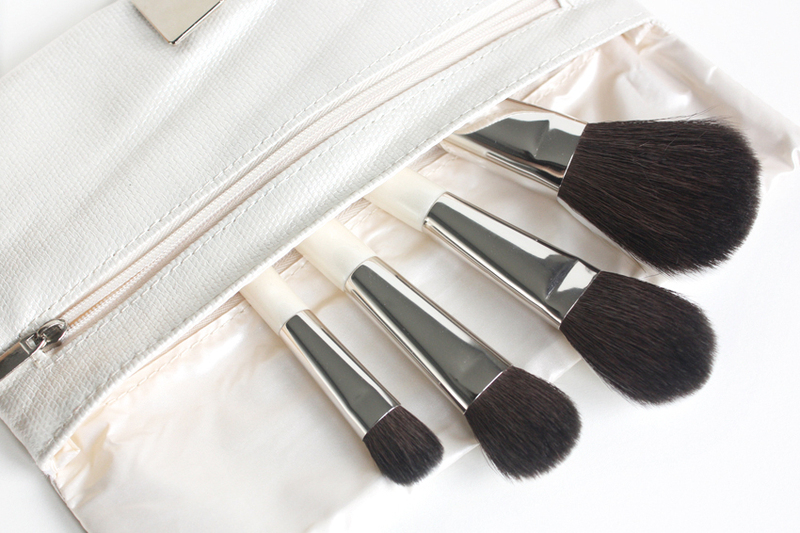 Japonesque has created a family of brushes to serve every part of the face. 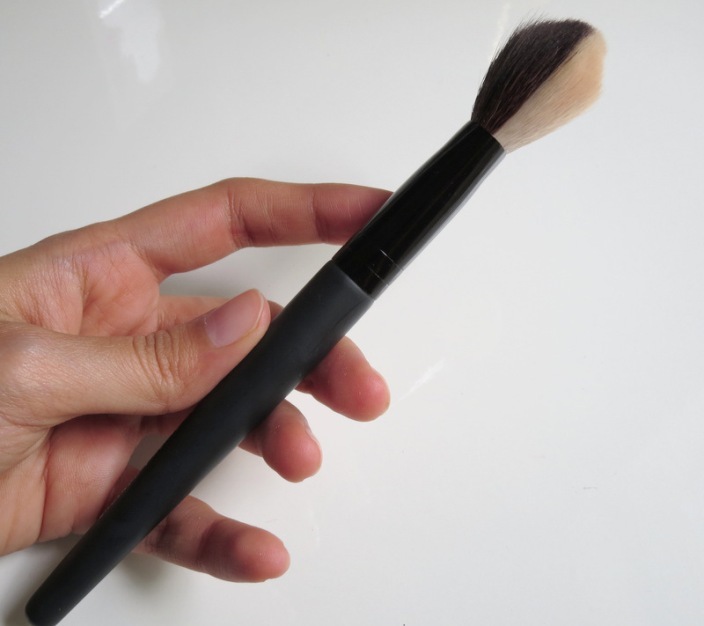 There is the large #110 brush, which is suited for foundation and powder. 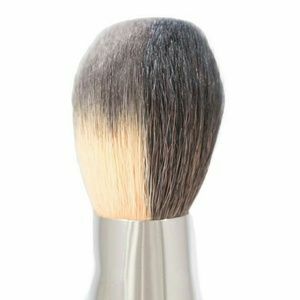 The medium-sized #120 brush, which is suited for blushes (both cream and powder). Then there are the two smaller brushes: the #130 which is great for cream and powder eyeshadows… and the #140, which is perfect for concealer. 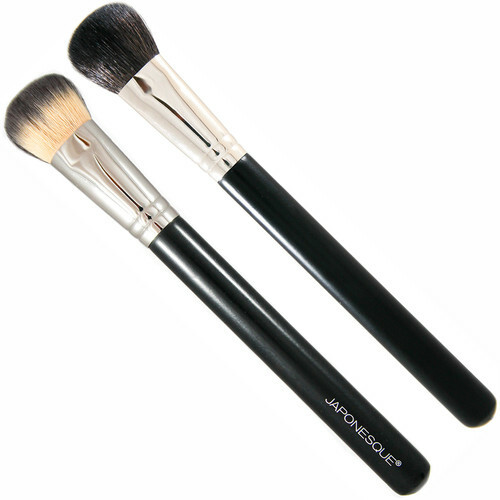 The handles of the brushes are wooden, and coated with black paint. Each brush is numbered on the tip of the brush. This was my first time ever using a dual fibered, or dual sided brush that was not a stippling brush. To be honest, I haven’t really seen many brushes of this kind. I know that MAC had a limited-edition brush, very similar to these, but I was never interested in it, as it seemed like a gimmick, and not something entirely practical for me, in particular. I then tried it using my Face & Body liquid foundation, and VOILA, it worked great. It laid the foundation without streaks, and evenly. The only problem is, I use silicone-based foundations 80% of the time. So, this brush is a womp… womp… for me. It is great if you use Face & Body foundations a lot, though. I didn’t bother using the other side, as I didn’t need to powder the face, or blend any cream on this particular job. Now, for the saving grace… the #120, #130, and #140 brushes all worked great! The #140 is my favorite of the brushes. I am a two-brush concealer guy. I like to place the color with a synthetic brush, then blend with a crease brush, usually, so having one tool to do both was a great experience. I used cream blush and cream eyeshadow to test the #120 and #130 brushes, and they performed well also. No complaints! I also want to commend Japonesque for putting the brush numbers on the TIP of the brush! I cannot tell you how many MAC brushes I have, that I no longer know the number of, because MAC prints the bush number at the ferrule of the brush (i.e. the part that gets wet! and gets washed away!). Thanks for using common sense, Japonesque! So, in conclusion, I can’t really recommend the #110 brush unless you are using a thin foundation, or a cream foundation. If you use silicone-based liquids, as I do the majority of the time, this brush is going to result in you pulling out your hair. As for the #120, #130, and #140 brushes, they are all great brushes at a great price point. Hey, you’re getting two brushes for the price of one, after all! And if you hate cleaning brushes as much as I do, I’d say that investing in those three brushes is a great idea!